What's Inside my January Birchbox? 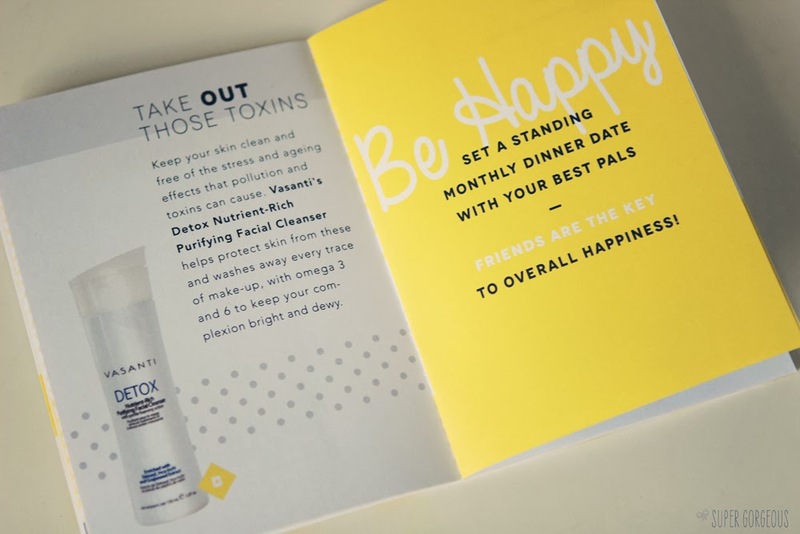 Birchbox is back in my life - and for that, I am grateful! This year, it kick started with the Tiny Tweaks box - all about the little fixes you can do to get yourself back on the straight and narrow after all the Christmas partying - to make you feel, and look better. 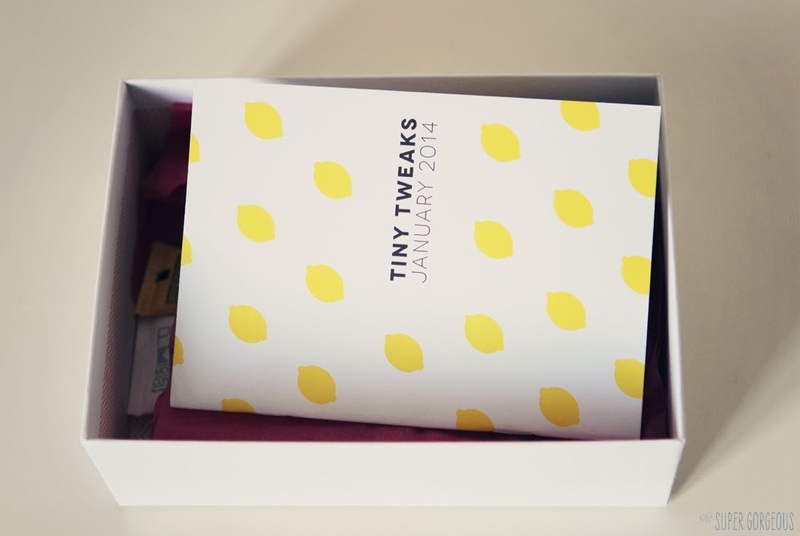 As well as the 6 items in the box, the little magazine that comes with it, is packed with ideas for little things you can do to make yourself happier, little resolutions you can actually stick to - which I thought was a really nice touch. Although I really enjoy the box subscription services that you choose what products you'll be getting, I still really like the idea of a surprise box, and that's how Birchbox run their ship. You don't know what will be inside your box until you open it. It feels like a birthday when you have no idea what to expect beneath the layers of wrapping, and it's nice. Even that helps to make you feel happier! This product is designed to add a boost of moisture to medium textured, wavy or fine processed hair. It's weightless so doesn't weigh the hair down, and leaves the hair smooth, shiny, and tangle-free. It's also great to use on children because of the detangling agents - I just wish there was also the shampoo from the same range included in the box, to really give the range a good test. I absolutely love this primer, so the more little samples of this the better! It's actually rather a large size bottle and a fantastic size for adding to your bag for travelling. I use this primer on a daily basis to smooth out my skin, shrink my pores, and make my makeup last longer. I just love it! This is a brand I've never heard of before - I just visited their website to get some info for this post, and the reviews of this product are fantastic! It's a cleanser suitable for all skin types - even acne prone and sensitive skins. The general buzz is that it's really good at removing all traces of make up and controlling oil - sounds right up my street! It also contains omegas 3 and 6 to leave you with radiant looking skin. This is a revolutionary product which contains honey bee venom to trick the skin into thinking it has been stung, forcing it to repair itself. The result is a great anti-ageing formula, which leaves skin looking firmer and younger. The clinical trials they did to test the results were taken on women over the age of 50, and the blurb on their site talks a great deal about getting rid of the effects of menopause on the face, so I wonder how many people this cream may actually be useful for that have received it in their Birchbox. That said, I will still give it a go, and see if it makes any difference to my skin. Another brand I hadn't heard of prior to this, but my research found interesting results. This brand is allergy-free; it contains no treenuts, soy, wheat and oats, as well as petrochemicals, parabens and SLS. I can imagine this must make a world of difference to allergy sufferers that still want to enjoy luxury products. This is a spray-on oil designed to be used after showering to lock in moisture to your skin. I've used it a couple of times, and although the spray is a bit forceful, the smell is really lovely, and the oil sinks into the skin quickly leaving it with a really soft finish. Miso soup is rich in amino acids and antioxidants, aids digestion and strengthens the immune system... apparently it's yummy... to be honest the ingredients list boasting cooked soybeans, natural yeast, rice, barley, wakame, spring onion and tofu doesn't really do it for me, but if it does float your boat this is a handy little sachet to pop in your bag for work. There are a nice variety of products in this month's box. I have seen on the Birchbox site that other boxes this month contained Aromatherapy Associates and Laura Mercier products, I would have liked to have had one of them, it really is the luck of the draw! If you'd like to sign up, you can subscribe here for £10 a month (+£2.95 p&p) or save when you sign up for 6 months or more.